night in the open. Heavyweights should be taken for winter visits. 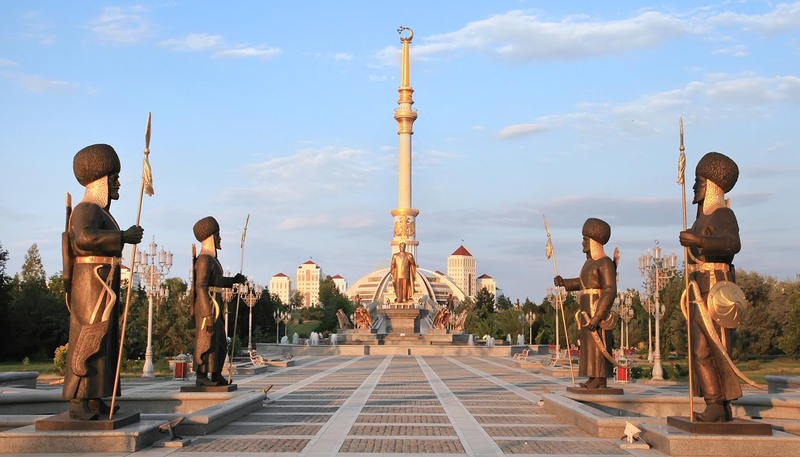 Turkmenistan shares borders with Kazakhstan to the north, Uzbekistan to the east, Afghanistan to the southeast and Iran to the south. To the west is the Caspian Sea. Nearly 80% of the country is taken up by the Kara-Kum (Black Sand) Desert, the largest in the CIS. The longest irrigation canal in the world stretches 1,100km (687 miles), from the Amu-Darya River in the east, through Ashgabat, before being piped the rest of the way to the Caspian Sea.